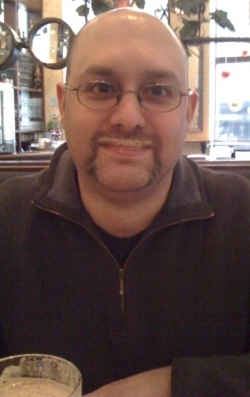 As I promised in the comments on my previous Movember post, here’s a photo of me in my full mustachioed glory. As you can see, the ‘stache does a good job catching beer foam. For that and many other reasons, I’m going to be glad to shave it off in just a couple of days. In the meantime, it’s not to late to show your support for me and my Movember team in our efforts to raise awareness and money for the battle against prostate cancer. If you’re able to give anything, even just a few bucks, please click here and pitch in whatever you can. Thanks!